Great for heads that are bereft of the normal natural protection! Great stuff for bald and shaved heads! 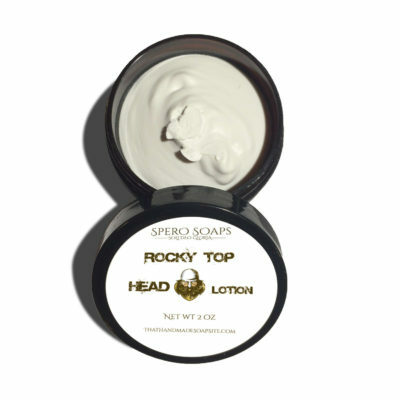 Our bald head lotion is great for those scalps that don't have built-in natural protection! 👴 Great for soothing razor nicks that happen in a world where being professional means a daily shave @ 4 a.m. to be on time for work. NEW Lotion Alternative with Zinc Oxide! We are EXCITED to announce our newest Lotion Alternative! This product has been through rigorous testing over the last several months to create a Shea Butter Lotion Alternative that included Zinc Oxide and skin loving Clays for those who wanted that little extra in their Body Butter. This lotion is super calming to the skin, and has all baby-safe ingredients! A baby-safe level of essential oils means just a hint, so you won't smell them in this lotion, but it has the nutty scent of Natural Shea Butter instead. 👀Check out the ingredient list!👇What's missing? Water and chemical preservatives! Nobody's skin wants those, much less sensitive skin! We don't, and won't use water in any of our leave on body products. And that means we don't have to use any nasty chemicals to preserve them! What does this mean for you? Nothing nasty fighting the good stuff, doing damage to your skin while the good stuff works. It also means our body products are extremely concentrated (most lotions are over 75% water!) and a little goes a long way! We do recommend consulting your child's health care provider before using on tender skin! While all ingredients are considered "baby safe" by most, do not use on children under the age of 6 without consulting your child's health care professional.